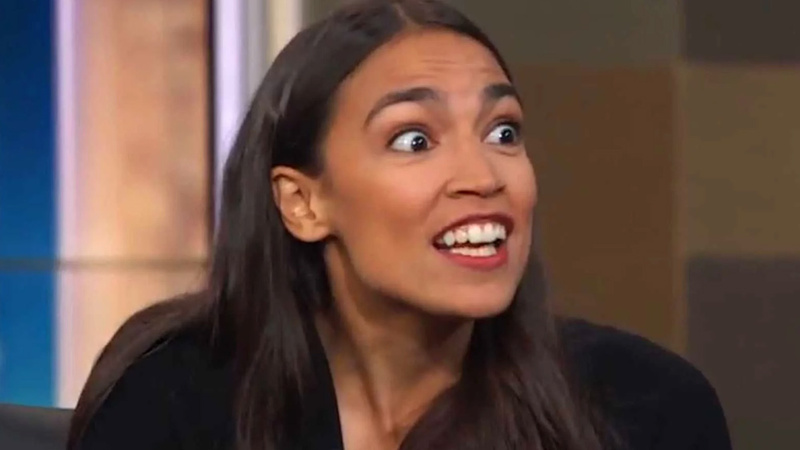 Details have emerged about Democratic New York Rep. Alexandria Ocasio-Cortez’s “Green New Deal” legislation slated for release as early as next week, according to reports. “In it, we call for a national, social, industrial and economic mobilization at a scale not seen since World War II,” Ocasio-Cortez wrote in a letter to Democratic colleagues obtained by Bloomberg. Those goals are still vague and ill-defined, based on what’s been reported of the letter, but Politico reported the “Green New Deal” didn’t explicitly call for a ban on fossil fuels — a key demand of environmental activists. “The language I read was clean, renewable, zero emissions — which is that ‘keep the door open’ approach,” Julian NoiseCat, policy director at 350.org, told Politico. 350.org was among more than 600 environmental groups that came out in support of the “Green New Deal.” In an open letter to Congress, environmentalists demanded fossil fuels and nuclear power not be part of the plan. Leaving the door open to nuclear and “clean coal” technology is likely a way to get labor union backing. Power plants, mines and other worksites that would be the target of “Green New Deal” legislation may support the plan if it includes programs to “decarbonize” their industries. Not including an explicit fossil fuel ban is likely form over substance. The “Green New Deal” would most likely be structured in a way to prioritize renewables, like wind and solar, over traditional energy sources. However, some observers see the lack of a fossil fuel ban as a tacit admission that coal, natural gas and oil are integral parts of the economy. Nine House Democrats are listed as co-sponsors of the “Green New Deal” resolution, according to Ocasio-Cortez’s letter. Massachusetts Sen. Ed Markey will introduce a “Green New Deal” bill in the Senate. Support for the “Green New Deal” is growing among Democratic 2020 hopefuls, including California Sen. Kamala Harris, Massachusetts Sen. Elizabeth Warren and New Jersey Sen. Cory Booker. Contributed by Michael Bastasch of The Daily Caller News Foundation.